If you are looking for attractive Replacement Windows Granada HIlls that will fit your specifications, Intex Windows & Doors is the right company for you. You can have peace of mind knowing that they provide consistency in their services and only sell the best quality doors and windows to families and companies in the Granada Hills area. You can find some options that will fit the architecture of the building perfectly. If you do not find your unique type of window or door in the standard choices, you can speak to a representative to explain your needs and have it be customized to your liking. Superior products, great customer service and a user-friendly website and experience in general are what you can look forward to when you go through Intex Windows & Doors for your home or commercial purposes. We greatly value all of our customers, and you will find that we are highly reputable after the past decade of being in business since 2004. 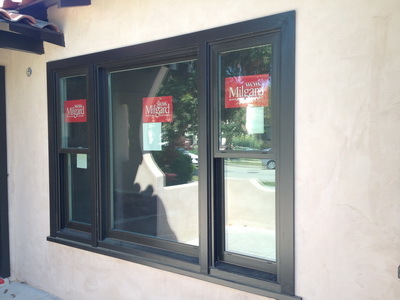 We are among the preferred authorized dealers in the area for Commercial Windows Los Angeles. We have innovative products that will help to make your business and lives run easier. There is no hassle when it comes to shopping from Intex, as we have made our website easy to navigate and you can see images of what we have to offer. When it’s time to have your Replacement Windows Studio City installed, you might want to have assistance if you do not have any experience with this. We will have a local installation specialist visit your home or place of business to put in your doors or Replacement Windows Granada Hills. If you want to know more or arrange to have a free in-home estimate done, give us a call right away.